Londoners took to the streets on Saturday to mark the 65th anniversary of the Nakba Day (day of catastrophe), a day when Jewish terrorist groups completed their first phase of ethnic cleansing of Palestinians in the occupied territories as the UK imperialism looked on. The Zionist regime of Israel was installed through a well-planned British conspiracy on May 15, 1948. Jafar M. Ramini, a Palestinian historian believes the day of catastrophe is a “Made in Britain” phenomenon actually launched in 1840. “May 1st. standing in front of the Foreign Office in the London sunshine I shivered at the memory of the massacre of Ein El Zeytoun 65 years ago. Engulfed in sadness and the memory of what has been lost and destroyed, I started to reflect on the dishonourable role the British establishment played and is still playing in the catastrophe that continues to unfold in Palestine. What we call ‘Al Nakba’. Many believe that ‘Al Nakba’ started in 1948. Having seen the award-winning and eye-opening documentary on Al Jazeera ‘Al Nakba’, first aired in 2008 and now being repeated, I beg to differ. If the Nakba signifies the expulsion of Palestinians and seizure of their land by force, then the ‘Nakba’ began long before 1948. It actually began in 1840, when the then British Foreign Secretary, Lord Palmerston wrote to his ambassador in Constantinople, urging him to solicit the support of the Ottomans, who then ruled over Palestine, to facilitate Jewish immigration into the country. At the time no foreigners were allowed to own land in Palestine and the number of Jews were fewer than 3000. “Please advise Dr Hertzl not to make any serious move in this matter. I cannot give up even one small patch of land in Palestine. It is not something that I own as a part of my personal estate. Palestine in fact belongs to the Muslim Nation as a whole. My people have fought with their blood and sweat to protect this land, let the Jews keep their millions and once the Caliphate is torn apart one day, then they can take Palestine without a price. To have the scalpel cut my body is less painful than to witness Palestine being detached from the Caliphate state and this is not going to happen”, said Sultan Abdul Hamid II. Having failed in their quest an alternative had to be found. And that, of course, was the British Empire. What those two Rabbis realized was that the ‘other man’ represented a well-established and advanced Palestinian society firmly rooted in its soil. So much for the rallying cry for the Zionists. “A land without people for the people without a land”. By 1907 the Ottoman Empire was considered to be the ‘sick man of Europe’. The British Empire, however, was at its most powerful. Anticipating the vacuum in Arabia that would need to be filled on the demise of the Ottomans, the British decided that their interests would be well served by creating a new state in Palestine, friendly to Europe, but hostile to its neighbours. The Zionists saw the opportunity for their proposed homeland for the Jews and seized it with both hands. In the same year Chaim Weizmann, one of the first British Zionists and later to become the first President of Israel, visited Palestine and within three years had bought thousands of dunoms of land, mostly from Arab absentee landlords, in Marj ibn Amer, the most fertile part of Palestine, and my birthplace. This sale, to The Jewish National Fund, had terrible consequences for the Palestinian farmers. They were forcibly removed off their land and overnight found themselves to be homeless, aimless and with no prospects. 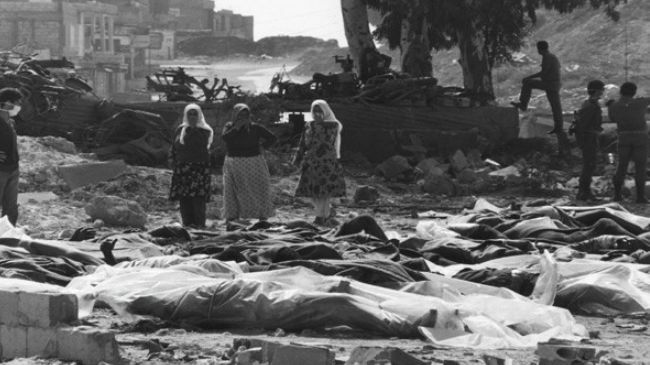 To me, this is when the Nakba started. At the outbreak of World War I in 1914, the British were looking for willing collaborators in Arabia to ensure their victory over the Ottomans and establish a firm presence in Arabia. They found them in Sharif Hussein Bin Ali of Mecca who delegated the task to his son, Prince Faisal ibn Al Hussein. Prince Faisal offered to facilitate the war effort in return for Arab freedom and independence. He did not stop there. The sweetener was to offer Palestine as a homeland for the Jews. This was reaffirmed after the war, during a conference between Prince Faisal and Chaim Weizmann in Paris and the document became known as the Faisal/Weizmann agreement. Isn’t it ironic how the Ottomans, our rulers at the time, would spill blood to protect us, while our brother Arabs were falling over themselves to give Palestine away. In 1915, a secret memorandum was presented to the British cabinet under the title, ‘The Future of Palestine.’ It was drafted by Sir Herbert Samuel, the first dedicated Zionist to become a minister in the British Government, who, astonishingly, did not advise the setting up of a Jewish homeland at this time, but did advise that Palestine should be annexed to the British Empire after the war, with sympathies towards the establishment of such a home-land. November 2nd 1917, is the date carved on every Palestinian heart, when the infamous Balfour Declaration, written in the form of a letter was sent to Lord Walter Rothschild. The British government, in their infinite wisdom, vehemently adhered to their promise to establish a Jewish home in Palestine and totally ignored their promise to protect the rights of the indigenous Palestinian population. At that time, Palestine was 10% Jewish and 90% Muslim and Christian Palestinian Arabs. I can’t help wondering what happened to the moral fibre of the USA between then and now. Under the Sykes/Picot agreement Palestine was placed under British Mandate in 1922. Its first High Commissioner, the self same British Zionist, Sir Herbert Samuel, set about implementing all the trappings of a Jewish state under the auspices of what was being called a Jewish homeland. Hebrew became an official language, a separate Jewish education system was set up, Jewish ministries of energy, water and power were established and most crucial of all, the establishment of a Jewish army, with access to British training and equipment. The town of Tel Aviv was given autonomous status. During Samuel’s tenure Jewish immigration to Palestine was growing at a break-neck speed. But it reached its peak in 1933 when more than 175,000 Jews emigrated to Palestine. All of this was happening while the Palestinians were denied any freedom or civil rights. And this wasn’t a Nakba? In 1929 the beleaguered Palestinians showed their first act of defiance. They announced a general strike and raised black flags. The British government’s answer to that legitimate protest was to hang the three leaders of the resistance; Hijazi, Zeir and Jamjoum. If only the Arab leaders had listened then. And would listen now. Nevertheless the atrocities continued. Thousands were arrested and hundreds were murdered. Houses were demolished and life was made impossible for the Palestinians. Does that sound familiar? Even Qassim al-Husseini, the 80 year old former Mayor of Jerusalem (al-Quds) was beaten so badly by the British soldiers that he died from his wounds. A senior British police officer, John Faraday was reported by his own subordinates as being unjustifiably brutal and vicious. The British authorities’ response was to award Faraday the King’s Police Medal, praising his role in Palestine. I remember my late mother saying to me, that during that crucial time in Palestine, when the British constantly raided the houses of those they suspected of resistance, if even one spent cartridge was found the head of the household was thrown into jail. Another general strike in 1936 lasted six months, the longest in history. What ensued was nothing short of calamitous. Their fellow Arabs urged the Palestinian leadership to come back, sit at the negotiating table and give the British the benefit of the doubt. The irony of all of this is that now, over 70 years later, we are still waiting for those good intentions to materialize. Between 1936 and 1937 the British killed 1000 Palestinians. 37 British were killed and 69 Jews. As a reward to the Palestinians for being ‘reasonable’ Lord Peel headed a Royal Commission on Palestine and offered a 3-way partition plan. One third to be the Jewish state, two thirds to be an Arab state, merged with Trans-Jordan and the area between Jerusalem to Jaffa remaining a mandated territory. The Zionists liked the Peel proposal because it fell in with their plans of ethnic cleansing of Palestine. The principle of transfer could lead to a 100% Jewish state. When the Palestinian leadership rejected the plan the British disbanded the high command and exiled its leaders, leaving the Palestinians leaderless to defend themselves. So much for the so-called democratic process. Some might ask, why did the Palestinians turn down the Peel Plan? All very well in hindsight. Why wouldn’t they when they already owned 94% of the land? Surely justice would prevail. Of course it didn’t. By pretending to accept the Peel Plan, and appearing to be magnanimous the Zionists accelerated their ethnic cleansing and theft of Palestinian land which continued all through WW II. After the war, the Zionists did not like the pace by which their expansionist plans were proceeding and considered their benefactors, the British Forces, as being in the way. They turned on them with venom; terrorism, burning and murder, the most infamous of which was the bombing in 1946 of the King David Hotel in Jerusalem. 91 people were killed, 46 injured. In 1947, the UN decided to partition Palestine yet again. As the world reeled in shock over what had happened to the Jews and other minorities during the holocaust, the United Nations, possibly with a mixture of sympathy and guilt, gave over 56% of Palestine to the Zionists and 43% to the Palestinians. The plan was rejected by the Arab side, the Zionists, while pretending to accept it, continued with their campaign of terror against both the British and the Palestinians, while portraying themselves as the victims. By this time the British government, exhausted and fraying at the edges decided to cut and run, abandoning their moral and legal duties towards Palestine. They left the unprotected civilian population to the mercy of the Zionist troops. None was shown. The Arabs had no option but to act. Ill-equipped and ill trained Arab armies embarked on a disastrous adventure that resulted in total defeat of the Arab forces and the loss of 78% of the land- mass of Palestine. Of the remaining 22%, the West Bank of the River was usurped by Jordan and Gaza by Egypt. Even then the Nakba was not complete. There were more horrors in store for the Palestinians. They continue today, 65 years on. As British historian, Arnold Toynbee observed: “The tragedy in Palestine is not just a local one; it is a tragedy for the world, because it is an injustice that is a menace to the world’s peace”. At the very least, the British owe us, the Palestinians, a huge debt of honour, which is long over-due.